Greg Saikin is a former federal prosecutor and maintains a national practice in white collar criminal defense and related internal investigations. He routinely acts as lead counsel for healthcare providers in response to allegations of fraud, kickbacks, and controlled substances diversion by governmental agencies. 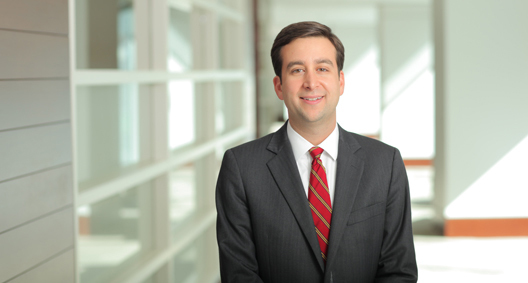 Greg also defends a diverse range of energy clients in matters involving environmental issues, the Foreign Corrupt Practices Act (FCPA), and export control regulations, among others. Prior to joining the firm, Greg served as an Assistant United States Attorney for the Southern District of Texas, Fraud Section, where he directed numerous white collar investigations and prosecutions. As a result, he has a unique understanding of the critical interplay between and among administrative, civil, and criminal enforcement matters. Prior to his legal career, Greg worked on the White House Advance Staff, coordinating official visits of former Pres. George W. Bush throughout the United States and in numerous foreign countries. National post-acute company in defense of FBI investigation and search warrants in the Eastern District of Texas. Chiropractic facility owner under federal indictment for bribery and health care fraud in the Eastern District of Missouri. National compounding pharmacy business in response to DEA penalty demand related to alleged controlled substances diversion in the Southern District of Texas. Mail order pharmacy in response to investigation by Massachusetts Attorney General into controlled substances diversion. Conducted internal investigation for publicly traded refinery client into allegations of self-dealing. National pharmacy company in defense of FBI and OIG investigation for health care fraud in the District of Utah. Compounding pharmacy in response to OIG investigation arising out of the Eastern District of Tennessee. Home health agency in defense of FBI search and asset seizure warrants executed in the Southern District of Texas. Acute care hospital under FBI investigation for Medicaid fraud in the Eastern District of California. Independent diagnostic testing facility owner under OIG investigation for federal anti-kickback statute violations in the Southern District of Texas. Mail order pharmacy in connection with federal OIG investigation for health care fraud in the Southern District of Texas. Radiologist in defense of federal anti-kickback statute allegations in the District of New Jersey. Substance abuse treatment center CEO charged under the Florida Patient Brokering Act in Palm Beach County, Florida. Mental health professional charged with Medicaid fraud in Travis County, Texas. Dental management companies, therapy providers and nursing homes under criminal investigation by state Medicaid Fraud Control Units. Executives of post-acute management company in False Claims Act investigation in the Southern District of Texas. Pain management physician and clinic under investigation for controlled substances diversion by DEA in the Southern District of Texas. Acute care hospital in connection with Form-106 filing (relating to loss or theft of controlled substances) and subsequent audit by DEA-ODC. LTAC executive under False Claims Act investigation in the Southern District of Texas. Numerous providers under audit by Zone Program Integrity Contractors (ZPIC). Numerous providers under audit by the Texas Health and Human Services Commission, Office of Inspector General (OIG). Noted pro sports bettor indicted for currency structuring and operating an illegal gambling business in District of Nevada. Real estate developer in connection with FBI international money laundering investigation in the Western District of Texas. City council member under FBI investigation for public corruption involving contract procurements in the Southern District of Texas. Businessman charged with fraud related to the EPA’s Renewable Identification Numbers (RINS) program in the District of Nevada. Numerous energy-related companies in connection with allegations involving the Foreign Corrupt Practices Act (FCPA) and various export control laws.